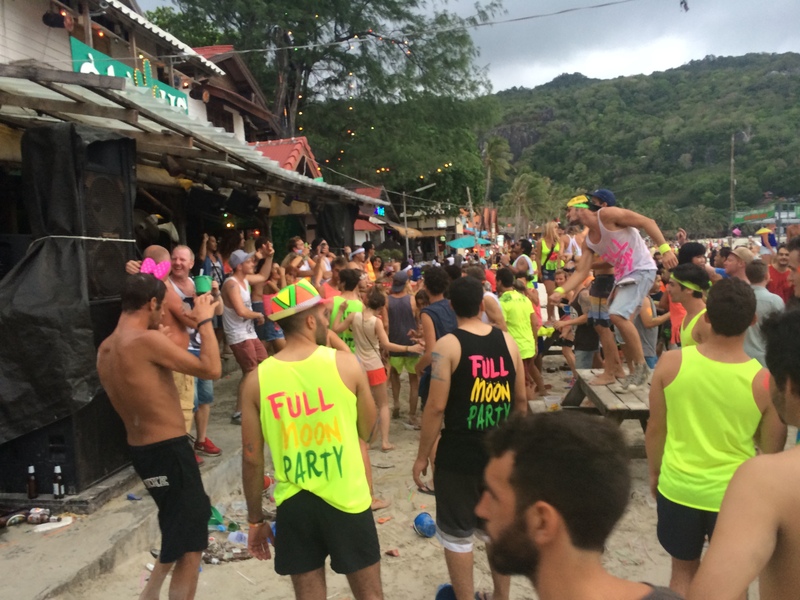 The other reason why we hastily left Cambodia was because we planned on attending Thailand’s world famous Full Moon Party. 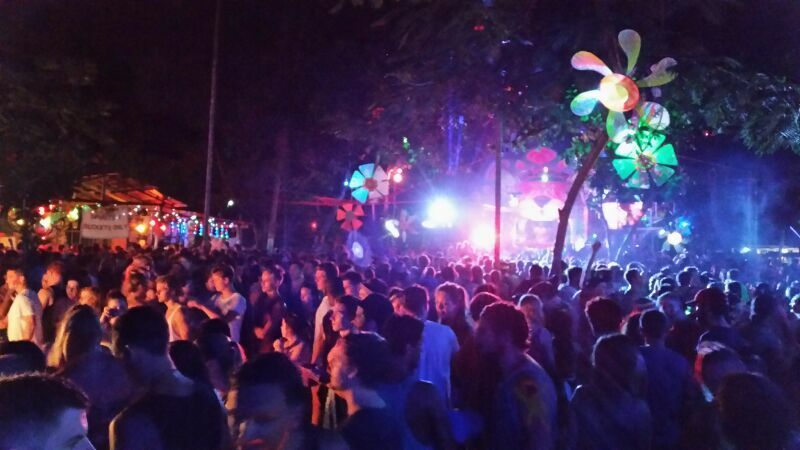 While we were in Siem Reap, Chris looked up the full moon party dates. June 12th marked the next party, which was only 7 days away from the time we started our research. “How far is it from Bangkok?” I asked. “Um….it’s on an island,” Chris replied. 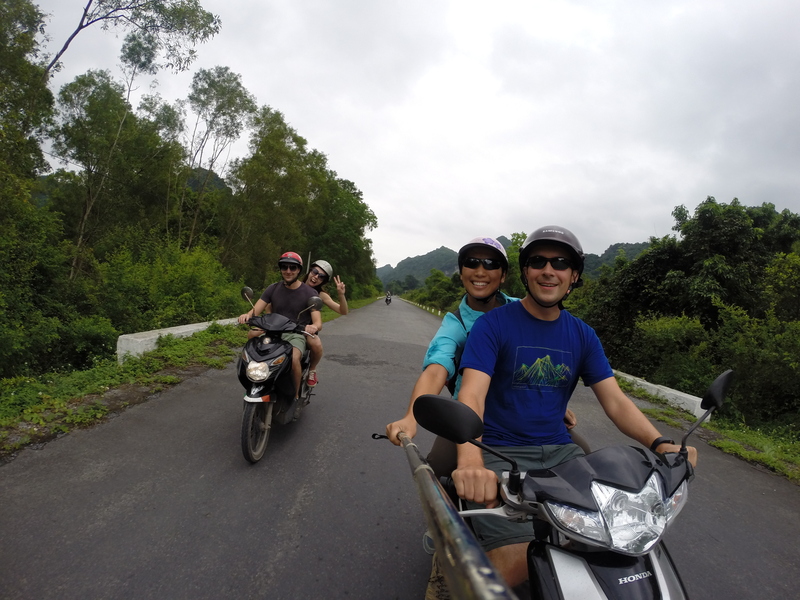 After our bike tour to Beng Melea on Sunday, we loaded onto a large bus Monday morning (from a reputable tour company) and made our way to Bangkok without any issues, thankfully unlike our journey from Laos to Cambodia one week prior. We arrived late afternoon Monday and had just the right amount of time to eat dinner, get new SIM cards, check into our hotel near the airport, and sleep. 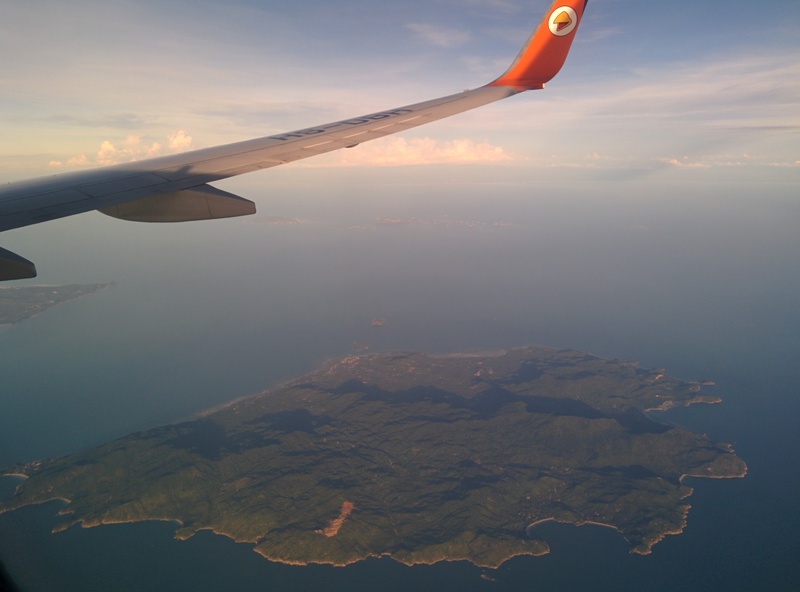 Early Tuesday morning, we caught a 1-hour flight out of Bangkok at 6:00am to Nakhon Si Thammarat in Southern Thailand, where we took a 1 hour shuttle to Donsak Pier. 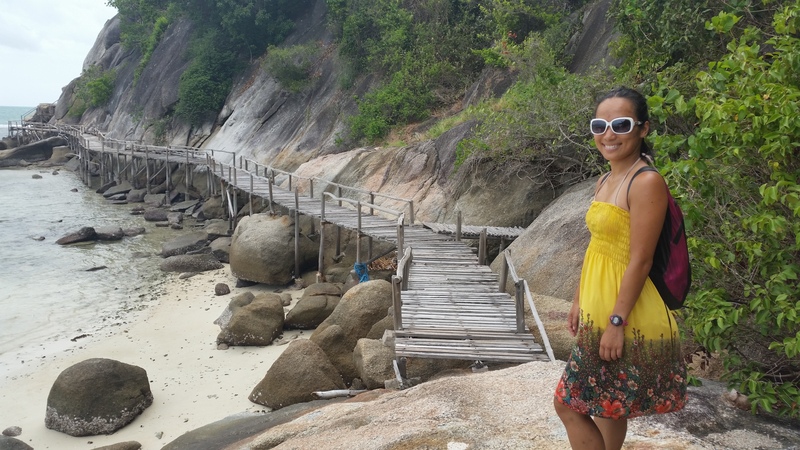 From there, we took a 1 hour ferry ride to Ko Phangan, our final destination. 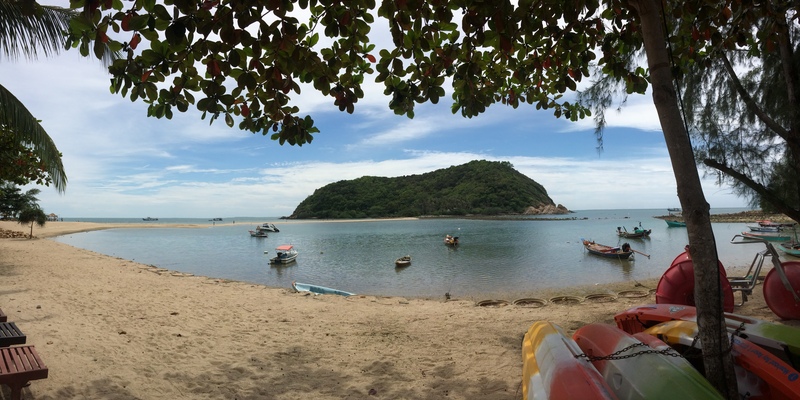 We arrived at Thong Sala, Ko Phangan around noon. Throughout the journey young party goers were easily spotted at the airport, shuttle, and ferry. 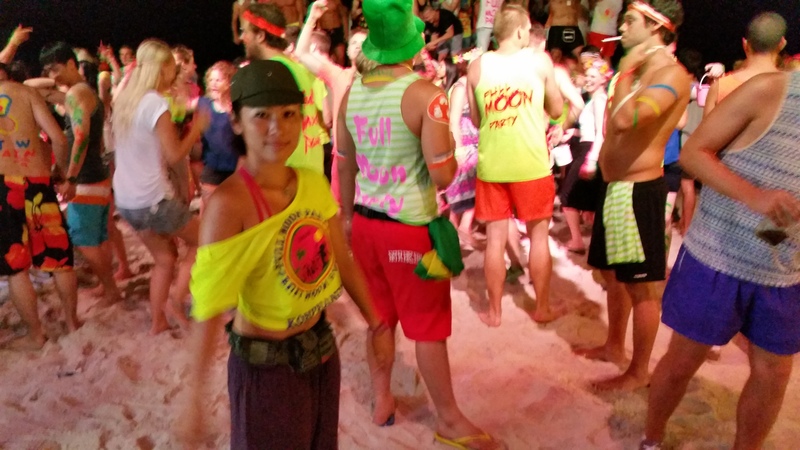 It was obvious who was going to the Full Moon Party. 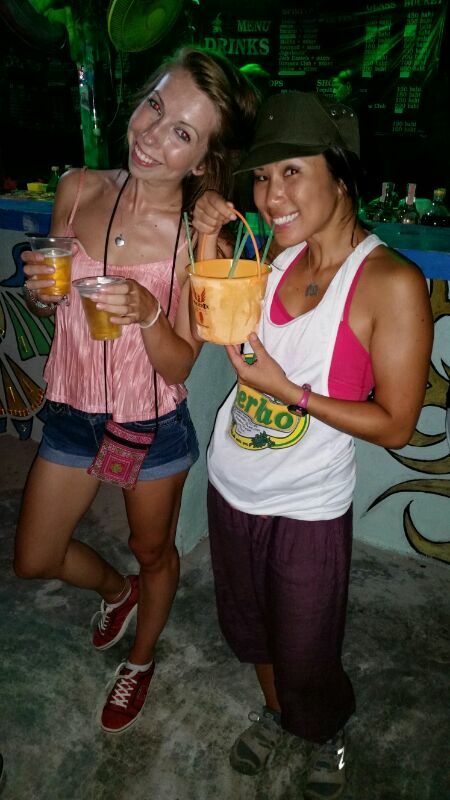 Like the rest of the party goers, we sardined ourselves into vans and made our way to Haad Rin, the most touristy area of Ko Phangan and home of the Full Moon Party. It is said that the best way to find cheap accommodation on any of these little islands is to just show up. Any previous booking can cost up to 30% more, so…we just showed up! Within minutes of stepping foot into Haad Rin, a woman approached us with a flier, offering us a discount due to the low season. 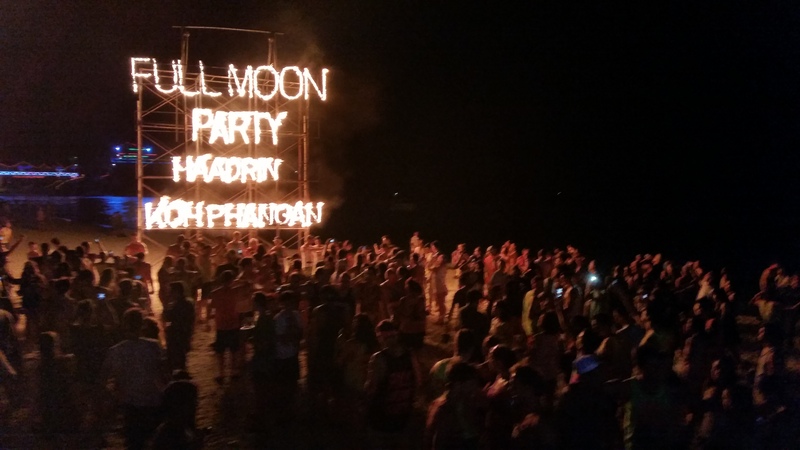 This was also the first Full Moon Party since the military coup, and Chris and I assumed there would be fewer tourists. 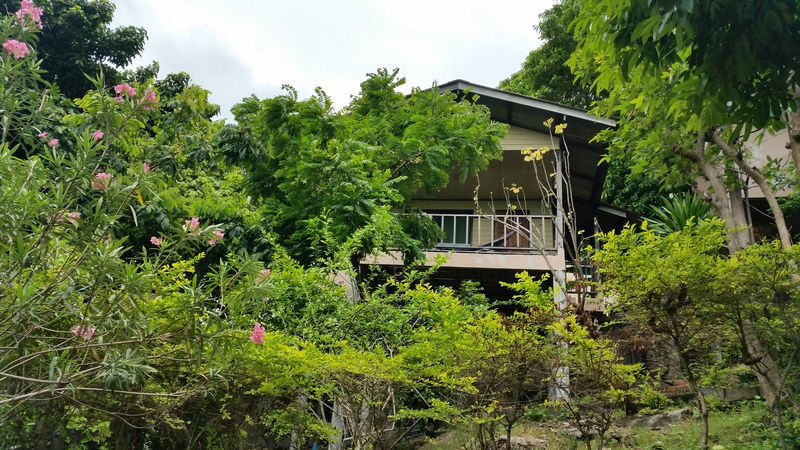 Our home for the next 4 nights in Haad Rin was perfect: a secluded AC bungalow tucked away in the quiet hills, just a short walk away from the party, with a beautiful pool boasting views of the beach, all for 600 Baht ($18 USD) per night! 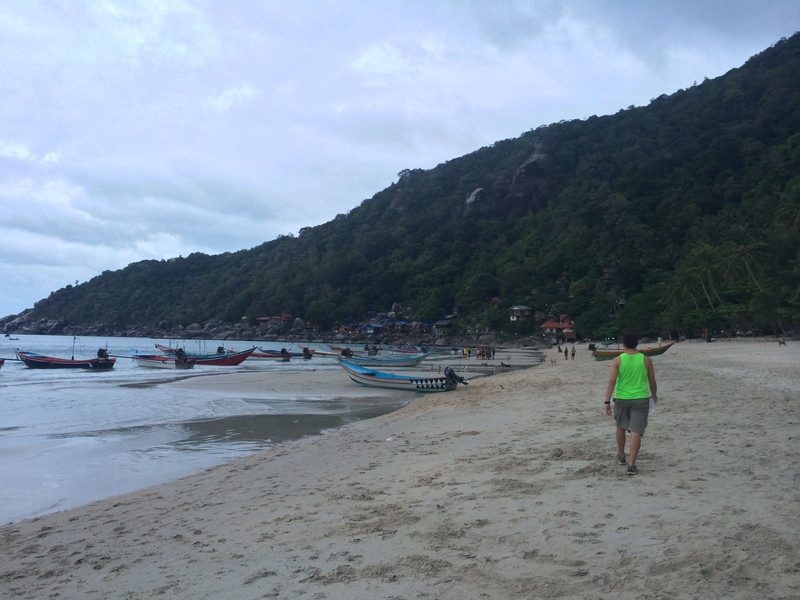 Before the Full Moon Party on Thursday night, we spent our time exploring the many secluded beaches on the tiny island of Ko Phangan. 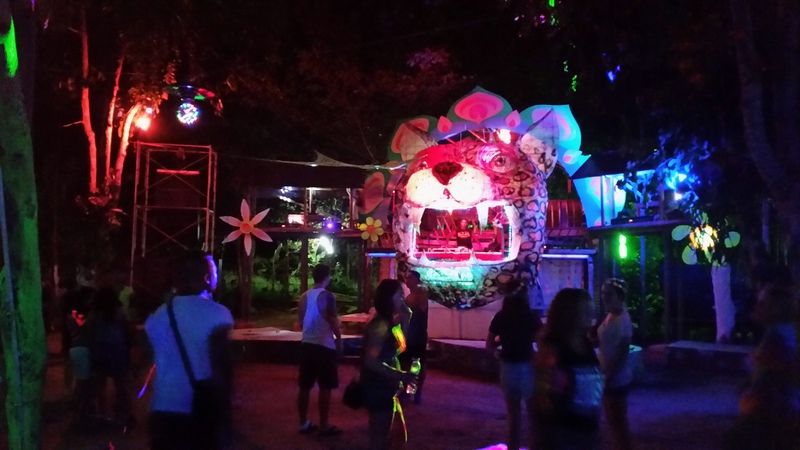 Traditionally, the pre-party that almost everyone attends before the Full Moon Party is Jungle Experience, a party in “the jungle” that lasts through the night and on into sunrise. I kept in touch with a young British couple, Jess and Josh, whom we met in Cat Ba and reunited with at Jungle Experience. We kept it tame this night in order to preserve our energy for the main party the next day, so we only stayed until 1:30am. 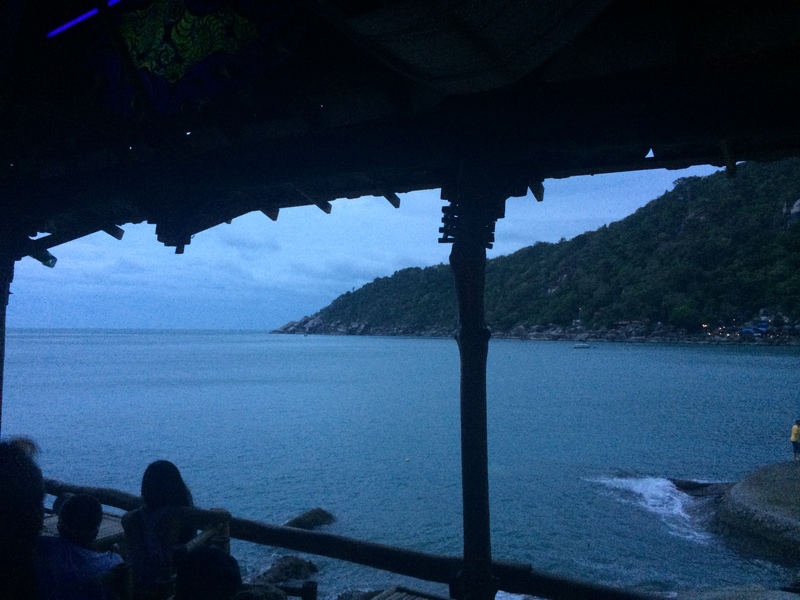 On Thursday, the night of the Full Moon Party, Chris and I relaxed on the beach and took a nap before heading out. By 10pm, the streets were filled with people shopping for last minute party attire and supplies. 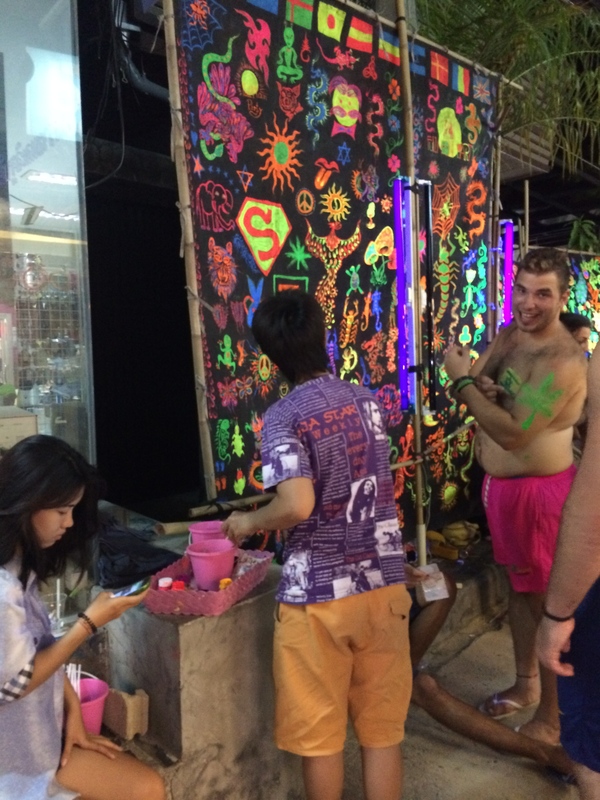 Vendors offering neon face and body painting services lined the sidewalks. 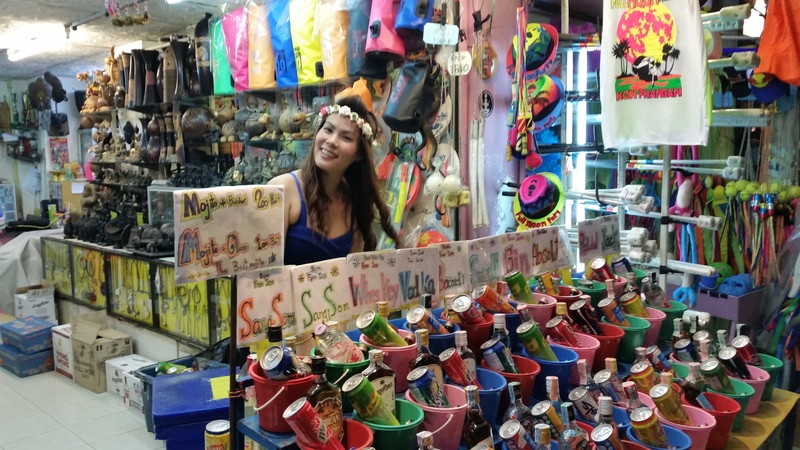 Neon party hats, clothes, jewelry, accessories–you name it, they’ve got it! 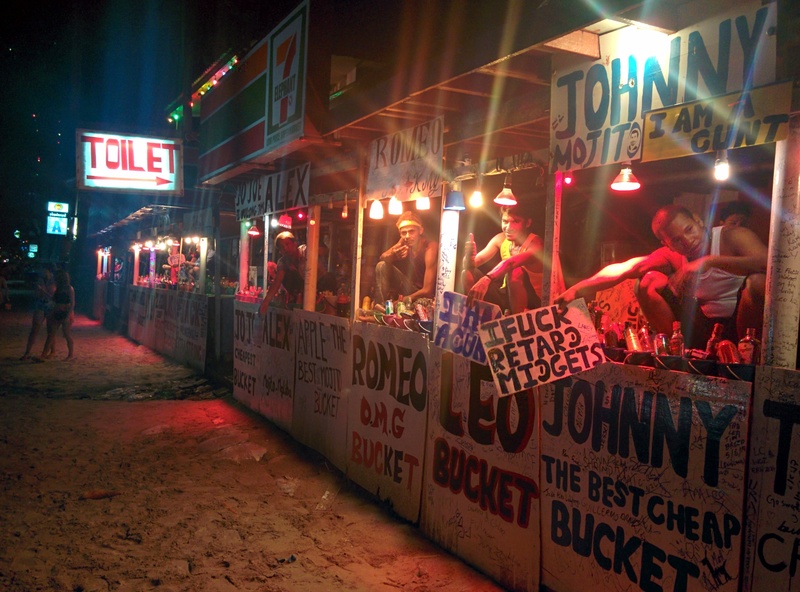 Buckets of alcohol and mixers were spread apart every couple meters. 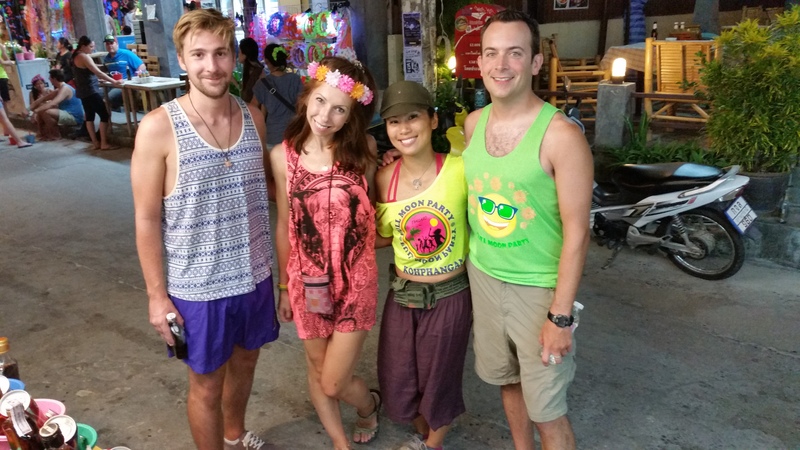 We met with Jess and Josh around 10:30pm, snapped a group picture before the night could destroy our party faces, and ventured out to the famous Full Moon Party. It was still a bit early (before 11pm). Remember, this party goes until sunrise, with after parties that run until noon the next day for the youngsters who still have gas to keep their motors running. Already the beach was packed. I regret not taking photos of the ones who couldn’t pace themselves. There were passed-put partiers sprawled all over the beach, and kiddos on all fours, hunched over and puking into the sand before 11pm! HA! 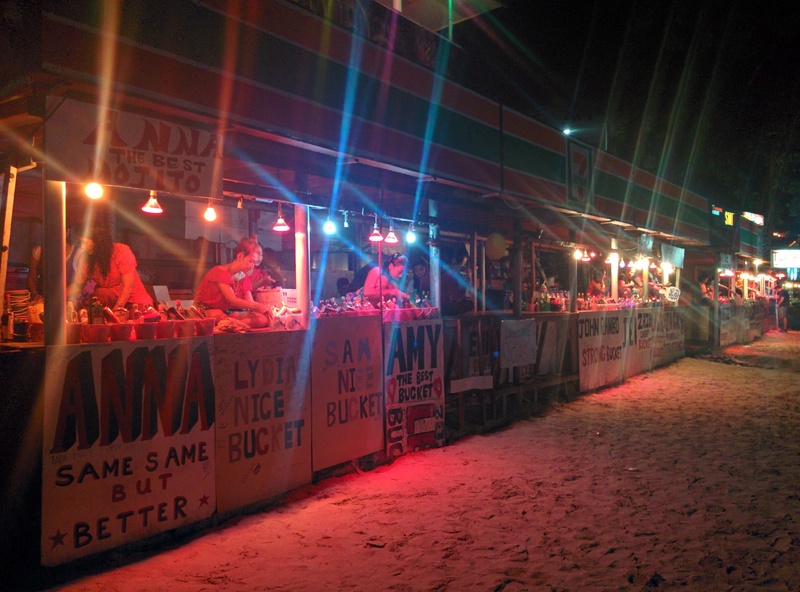 By 3am, Chris and I were done with the beach and headed over to Eden, one of the most famous party bars in all of Thailand, accessible only by taxi boat. 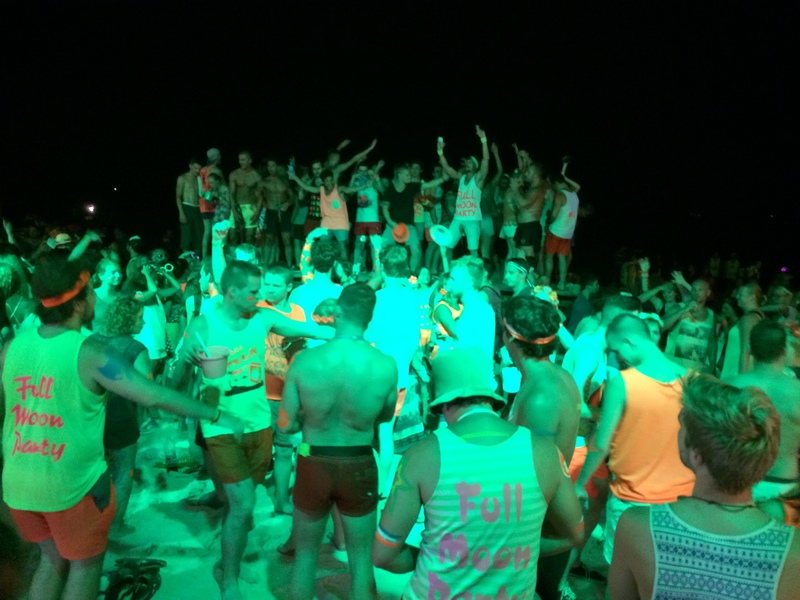 As we waited to depart, we gazed at the surreal Full Moon Party taking place before us on the beach. We discovered Eden only two days before by word of mouth. 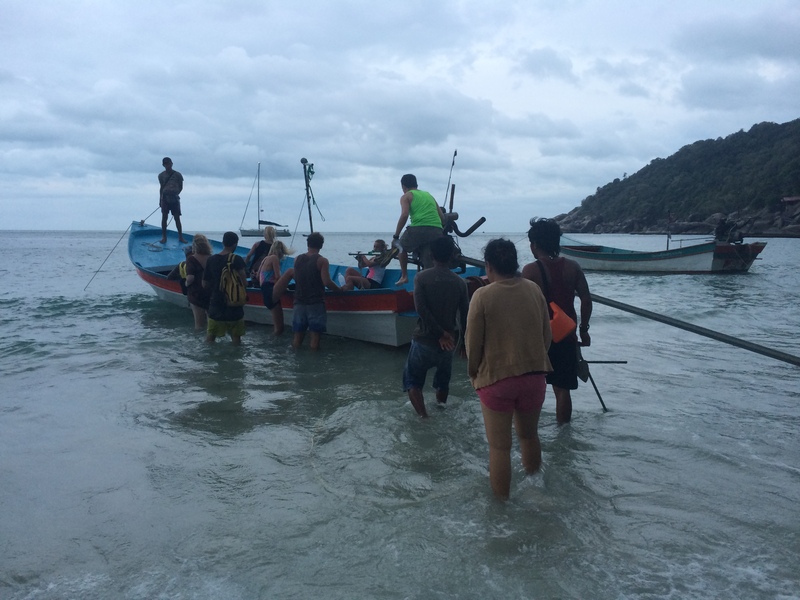 As soon as we stepped onto the taxi boat two days before in the dark night, it began to rain. That did not stop the taxi boat from continuing the quick 10 minute ride. As we crossed the waters, thunder and lightning boomed above our heads, rain poured down, and the headwind strongly blew. 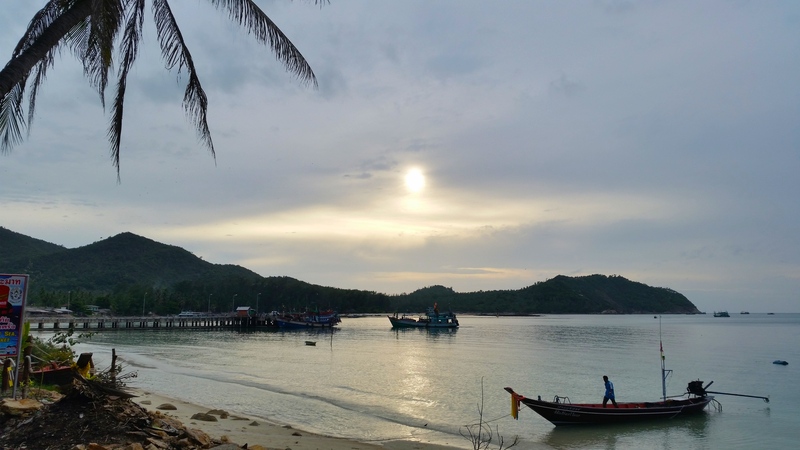 It was pitch black with scarce moments of thunder that illuminated the pirate-figure of our Thai taxi boat driver, who stood confidently and steadily in the rear as he navigated the deafeningly loud boat. His long strands of dark hair that managed to escape his tattered bandana tossed wildly in the wind, and I couldn’t help but recall scenes from Disney’s Pirates of the Caribbean. The journey to Eden is part of the whole experience. 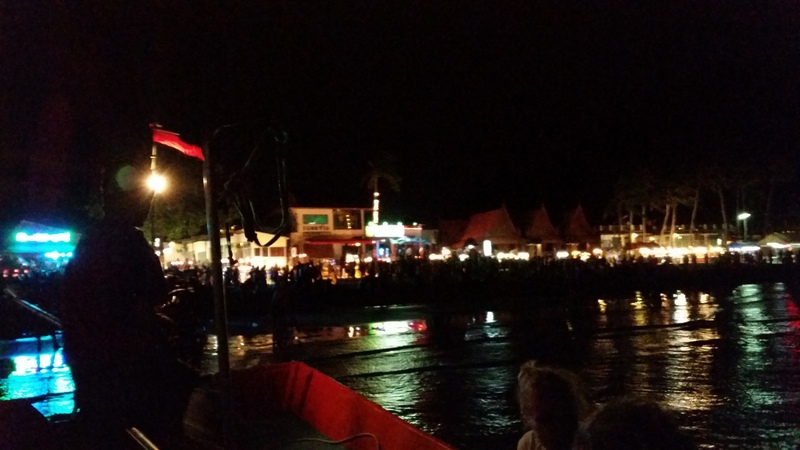 However, the night of the Full Moon Party thankfully did not bring us rain. Our taxi boat out to Eden was uneventful but still enjoyable, and we quickly strolled through the beach, rickety wooden bridges, and boulders to make our way to Eden. 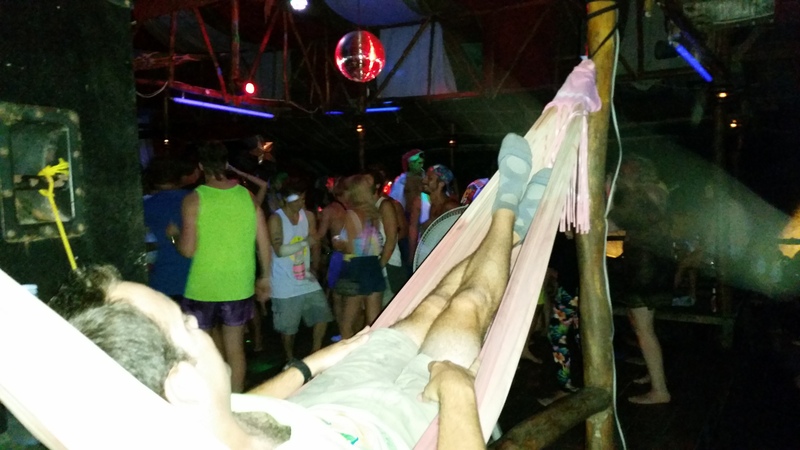 The dance floor was full, and hammocks lined the perimeter of the dance floor. We happily danced and lounged, and the next thing we knew, the sky began to brighten in preparation for a new day. I felt my old, fatigued body exclaim, “YAY! You made it ’til sunrise! Time to go to bed!” So that’s what we did. We left Eden and I turned around to see Eden for the first time in the light. 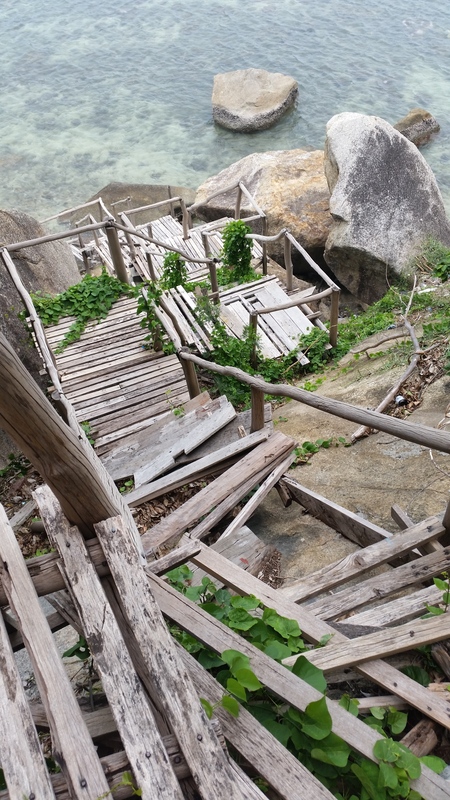 We staggered back across the boulders, rickety bridge, and sandy beach to the line of taxi boats that apparently run all through the night. There was still some energy on the boat as we hurried our way back to Haad Rin. 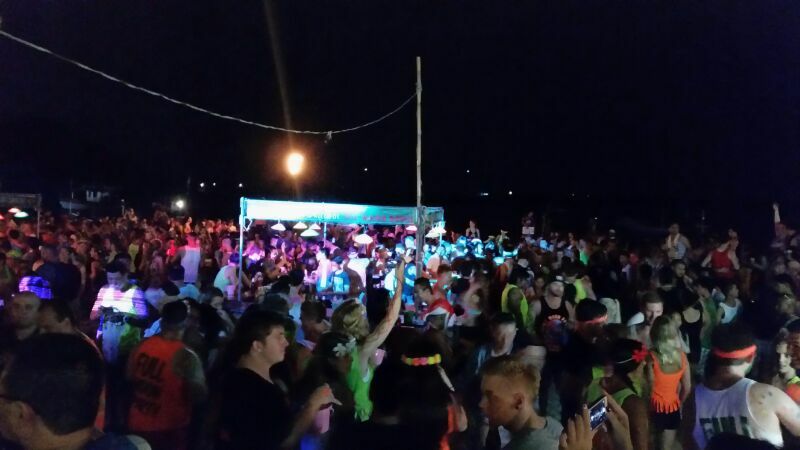 And of course, back on Haad Rin at 6:30am, the Full Moon Party raged on. Chris and I were in bed by 7am and spent the next couple of days recovering. 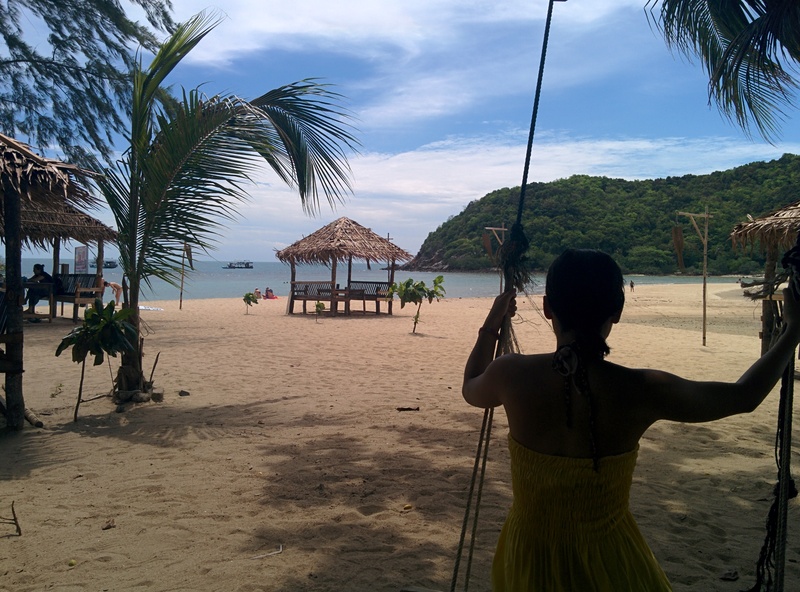 It was actually a relief to leave Haad Rin to escape the madness (after parties continued, and when the Full Moon Party isn’t happening, there is the Half Moon and Black Moon parties as well). 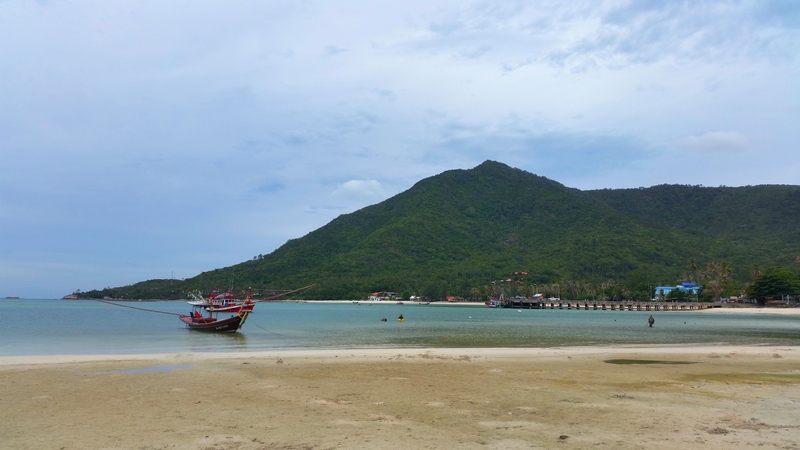 We spent our final days on Ko Phangan in the far northern fishing village of Chaloklum, where the beach is calm and soothing. 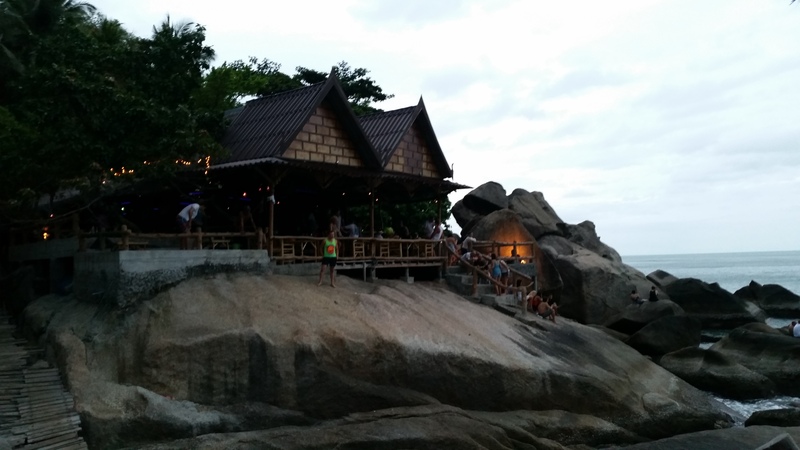 Our next destination is Ko Tao, an even tinier island famous for scuba diving, only a 1 hour ferry ride north of Ko Phangan. 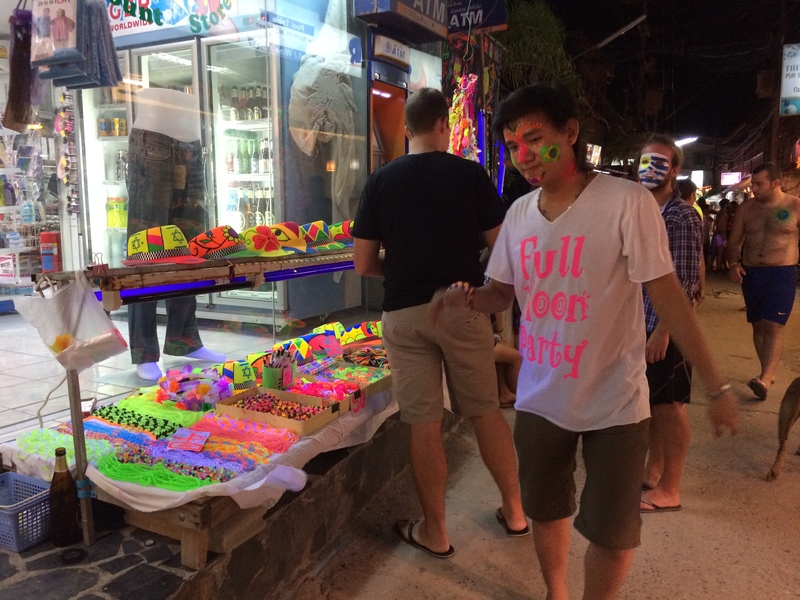 I didn’t even know what the Full Moon Party was about before leaving California, and we only decided to go the week before. 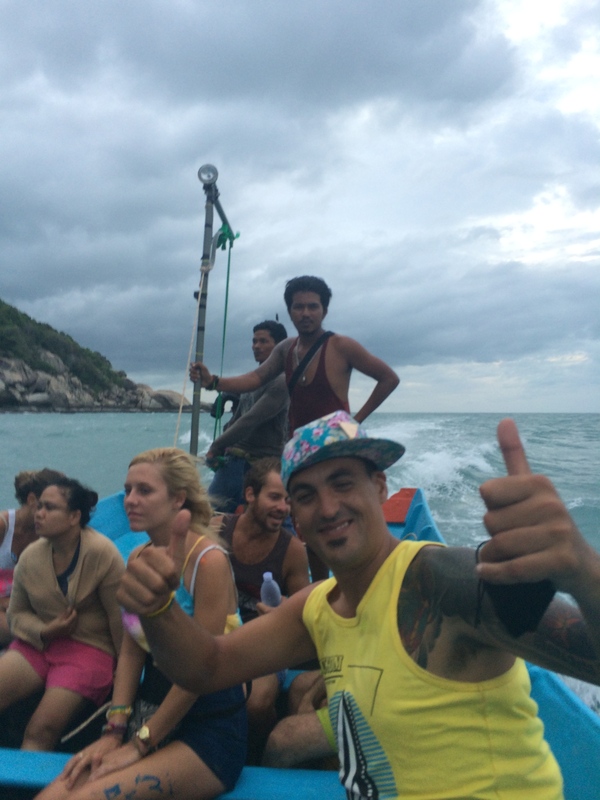 Like this entire trip, the Full Moon Party was a last minute excursion that brought more delight that we could have imagined.